I’ve spent most of the day contemplating, trying to figure out what I do that is cathartic. What helps me purge my negative emotions. And really, I could come up with nothing. So my next question for myself was how am I coping? Why am I not going off the deep end? And my answer was that I am generally happy. Content, despite all the stressors in my life. It’s testament to the fact that I don’t set the bar very high when I consider myself happy that my kids are alive and safe. Are they all healthy? Not by a long shot. Do they have everything they want? No. But they generally have a lot to smile about nonetheless. There’s still all the stress to deal with, but that I do with my little escapes. Writing fiction, plunging headfirst into my editing jobs, taking a walk, and colouring easily help at least give me a break from my worries. And I suppose when it’s all at its worst, my writing, even when I’m not writing about myself, can indirectly help me to spit out on a page what I’m feeling inside. We can’t, as writers, effectively express emotions we haven’t felt, whether they be joy or grief, well-being or pain. On the other hand, maybe I’m just lying to myself and I’ll explode when I turn 60. But at this very moment, I honestly believe I have it pretty good. All things considered. The prompt word, “cathartic,” for today’s post is brought to you by Enthralling Journey! Thanks, Enthralling Journey! 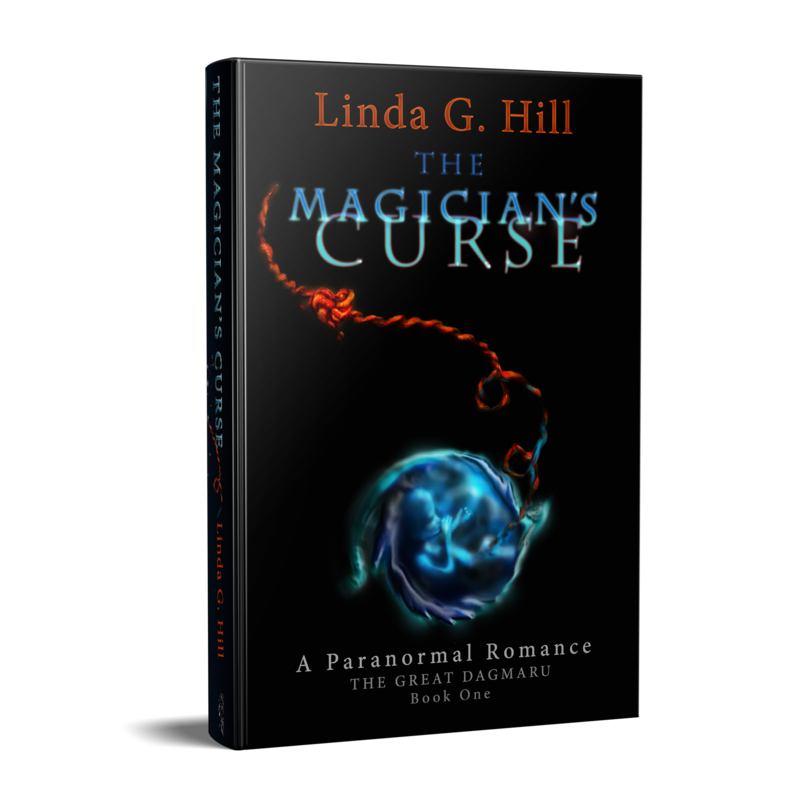 To find her “cathartic” post, click here. And say hi while you’re there! Categories: Blogging, Blogs, Just Jot it January 2019, Life, Parenting | Tags: children, dealing with stress, family, happiness, inspiration, JusJoJan, positive thinking, writing, writing prompt | Permalink. Serious illness is something we all fear. And I think we all hope that should we face it, we’ll be able to do so with grace and a positive outlook. I hope you’ll read this new blog, and follow along as Incy66 does her best to do just that. With positivity and humour. Note: Comments here are disabled. Please visit the original post. Categories: Reblogs | Tags: Cancer, grace, positive thinking | Permalink. I wonder when the phrase “making light of a situation” began to take on a mostly negative connotation. I try to find the positive in most things. Making light of them induces, in me at least, the idea that all is not always dark. That there is always a light at the end of a tunnel… that nothing is absolute. But then it’s so much easier to see darkness, isn’t it? Light can blind us. Imagine being so happy that you can’t see any possibility of misery in the future. But then misery hits and things are never darker. Does it mean that we should look for darkness in the light as well as light in the darkness? Perhaps. But back to my first thought – I have to wonder if the coming of our politically correct society caused the increase in seeing “making light” a bad thing rather than good. Everywhere I go these days, people are getting up in arms about this or that. Finding insult in everything under the sun. I sometimes wish we could just all “be,” without constantly being criticized for what we are and things we do and say. We’ll never please everyone, but what happened to Thumper’s old line, “If you can’t say something nice, don’t say nothing at all”? “Nice” is such a rarity these days, isn’t it? In society in general I mean. And so it’s become the norm for me to make light of situations only when I’m at home, where the people I know and love know me, and know that I mean no harm. Occasionally I’ll take a chance when I’m commenting on a blog or on other social media, but I’m always nervous that there’s someone out there who will take offense and make me feel like an awful person. People need to lighten up. 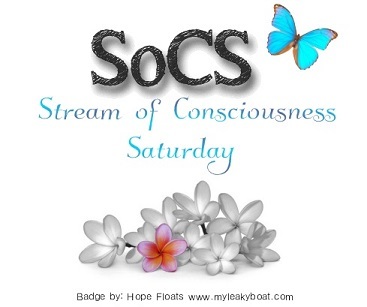 This post is part of SoCS: https://lindaghill.com/2015/09/04/the-friday-reminder-and-prompt-for-socs-sept-515/ Anyone can join in the fun – click the link to find out how! Categories: Blogging, Blogs, Life, Opinion, Stream of Consciousness Saturday | Tags: Humor, inspiration, light, politically correct comments, positive thinking, SoCS, writing, writing prompt | Permalink. You will not achieve what you want by focusing on what you don’t. Anyone who would like to try it out, feel free to use the “One-Liner Wednesday” title in your post, and if you do, you can ping back here to help your blog get more exposure. To execute a ping back, just copy the URL in the address bar on this post and paste it somewhere in the body of your post. Your link will show up in the comments below. Please ensure that the One-Liner Wednesday you’re pinging back to is this week’s! Otherwise, no one will likely see it but me. Categories: advice, Blogging, Life, One-Liner Wednesday, Opinion | Tags: inspiration, life, positive thinking, writing, writing prompt | Permalink. Ah, how infinite is our wisdom when we’re tired? That really is the question. It’s the reason I left the suitcase laying in the middle of the living room floor and it’s why there was no glass. Last night after I finished writing my post, I started to get myself ready for bed so that when my son went to bed I could go as well. I considered having a glass of wine, but decided against it for two reasons – one, there was too much left in the bottle for the three or four ounces I usually take upstairs with me but not enough to leave the rest in the bottle, and two, because I was really too tired to stay up and drink it anyway. Likewise with my decision to take neither my laptop nor my tablet to bed with me: I really just needed sleep. Chris came out to say goodnight to me and went off to bed, so I turned off the light, and the laptop and promptly, in my rush to get to bed, forgot that there was a suitcase laying in the middle of the floor. I tripped, I stumbled, I spent what felt like a full 20 seconds trying to save myself until I realized I was going down. And I did. On my knees and elbows. The pain was so intense, especially from my already sore shoulder joint which I’m almost sure I knocked right out of its socket since I have barely any muscle left to protect it, that I lay there for a few minutes hoping not to throw up. Finally Chris came back downstairs and called to my eldest son who was in the basement and he helped me get back up. Had I had the glass, the laptop, or the tablet in my hands – I don’t even want to imagine the mess. Had I not tried to save myself I might have hit my head on the bannister. As it was I landed six inches away. So, is the glass half full or half empty? Thankfully there was no glass. Next time there will be no suitcase. 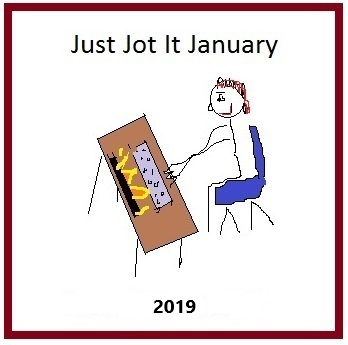 Categories: advice, Just Jot It January 2015, Life, Parenting, Prompt | Tags: accidents, children, decisions, family, JusJoJan, negative thinking, positive thinking, safety, tired, writing prompt | Permalink.